Just a reminder to everyone that I will be away the week beginning the 20th October so there will be no lessons during this time. Lessons will resume as normal on the 27th October. This is one of the scheduled holidays written in the calendar. 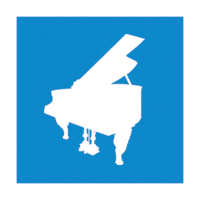 As many of you know, I've been introducing the iPad app 'Piano Maestro' into lessons recently. 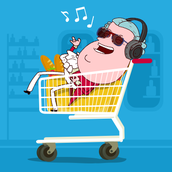 This is a great way of learning new songs and helps reinforce note-reading skills. For those doing graded exams it is also a great tool for practicing sight-reading. 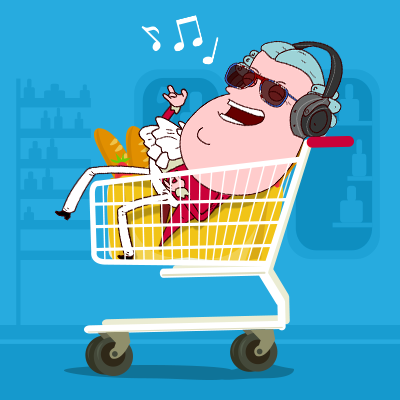 Recently JoyTunes decided that students of registered teachers would be entitled to FREE access to the app. This includes 100% of the apps content! The only downside is that it is Apple iPad only so other devices won't work - yet! They are working on Android versions so hopefully in time, owners of Samsung Tabs and Kindles will be able to get in on this too! If you would like more information on this app and how to get it, please email me and I will help you where I can! The Piano Pronto series is included in the Piano Maestro iPad app under 'Methods', so any of the songs in the first few books can be played on the iPad app along with a catchy backing track! 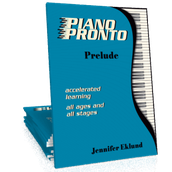 I have switched many of my students onto the Piano Pronto method book series, and almost all of my new students this year will be working through the same series. The series of books is written by Jennifer Eklund. I distribute these books using binders as they are unavailable as books in the UK as Jennifer self publishes her books. She does allow people to buy licenses for these books and print the book themselves, which is how I will be using them! Most books that I have used with students (as many parents will notice) tend to expect teachers using the books to teach using finger numbers to begin with - which is easy for the student to pick up. The problem I find is, when it comes to learning and reading notes, students struggle to change from numbers to letters as they are too dependant on finger numbers and starting with their hands on a different position on the keyboard confuses them. 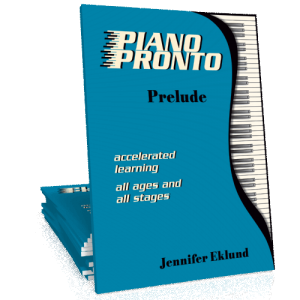 The Piano Pronto series uses finger numbers as guides (as they are intended) and introduce note reading from the very start, but use simple tunes that students are quite likely to recognise to make it easier for them to take in all this information.